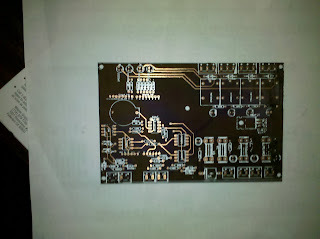 Open Access Control - Board is done! 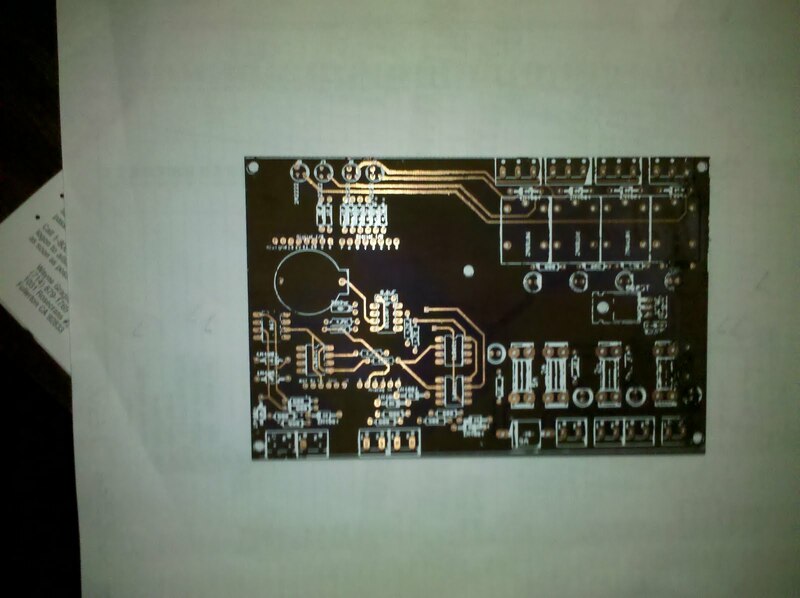 In a fit of motivation, I got the PCB etched for the Open Access Control. I used the "Fab in a Box" process from this company and got pretty good results. I didn't have quite enough heat on my toner transfer and ended up having to do some re-work with a Sharpie, but it works. I got the purple base color by boiling in liquid RIT dye concentrate for about 15 minutes. Hopefully, the Shop Party this weekend won't keep me from at least getting the components on there over the weekend. 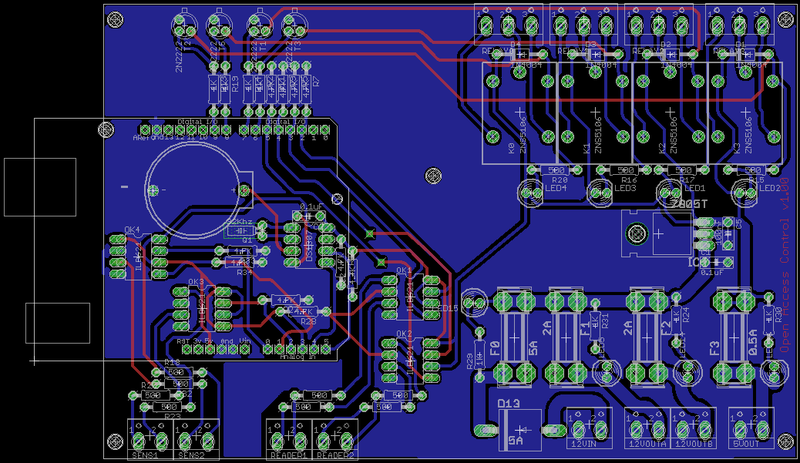 So the I finally got around to finishing the circuit and PCB layout for the Open Access Control for Hacker Spaces. 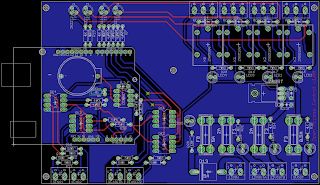 Now to get the PCB etched, stuffed, debugged, tested...What could be simpler?